People like to spend money here. In particular, people from Mexico like to spend money here. Mexicans are the largest group of international tourists who visit Houston – and recently, their numbers have grown. In 2015, Houston received 2.5 million international tourists, 1.8 million of whom came from Mexico. 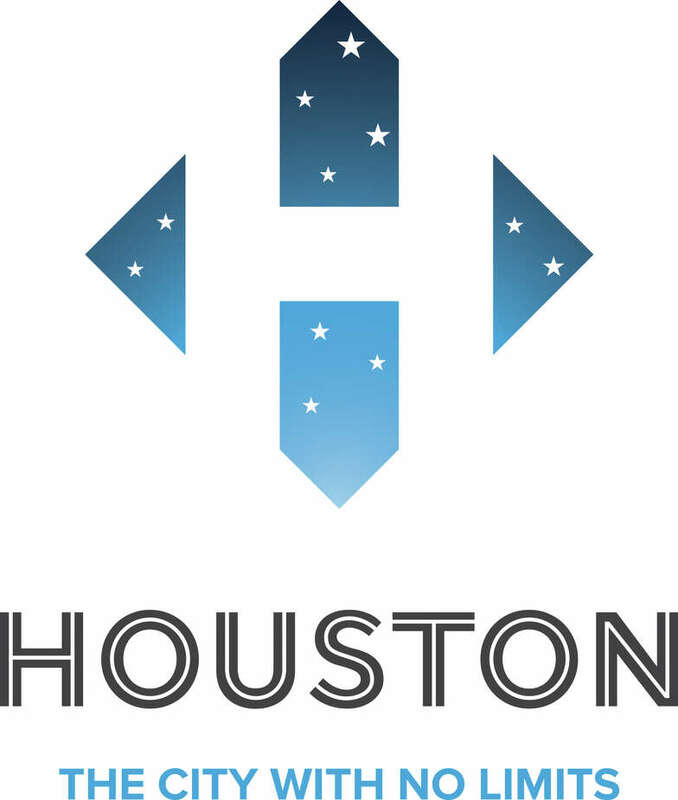 In 2016, the convention and visitors bureau launched a campaign, “Hola Houston,” to promote the city as a cultural and culinary destination. Mexican tourists also spend the most money of all Houston’s visitors. In 2015, on an average two-night trip, each spent an average of $1,253. Franz said that Mexican tourists love shopping in the Galleria and at the area’s suburban outlet stores. According to the story, some twenty thousand Mexican nationals were in Houston for the Super Bowl. The story doesn’t give a cumulative annual number for the revenue the city and the greater region derive from all this, but between hotel taxes, rental car taxes, sales taxes, and just a whole lot of stuff being bought, I think we can assume it’s a decent chunk of change. Now ask yourself, what would the effect be if all this activity were to be dramatically scaled back, due to some combination of further restrictions on immigration and the well-heeled travelers of Mexico deciding they just don’t need this crap, as some of them featured in the story say is the case for them? It would not be good. If that happens, you can thank Dear Leader Trump and the people like Dan Patrick (are you paying attention, Texas Association of Business?) who enable him. We’re going to have a lot of people coming into town for Super Bowl LI. We’re going to have to put them somewhere. Mayor Annise Parker said Thursday that hosting the 2017 Super Bowl will be another step in Houston’s evolution as a designation city of international prominence. Speaking to the Hotel & Lodging Association of Greater Houston at The Houstonian Hotel, Club and Spa, Parker praised the industry’s role in gaining the coveted bid this week and touted the city’s continuing efforts to attract more visitors. She said Houston is gaining worldwide recognition. “We are now saying, ‘What can we do that is uniquely Houston to bring people to the city?’ ” Parker said. Greg Ortale, president and CEO of the Greater Houston Convention and Visitors Bureau, applauded the local hoteliers for exceeding the NFL’s requirement for how many rooms Super Bowl host cities must set aside for those attending the event. Ortale explained that during the bidding process, the NFL asks area hotels to make long-term commitments to ensure rooms will be available and guests won’t be charged exorbitant rates. The NFL asked cities submitting bids for the Super Bowl to commit 19,000 rooms. Houston’s hotels exceeded that number. I imagine there’s a certain amount of latitude to the definition of “exorbitant”, but never mind that. Like I said, there will be a lot of people coming in to town. You may be wondering what we plan to do with them all while they’re here. The GHCVB has a plan for that. Those grand plans include a “rocket ship ride” in Discovery Green that aims to blow away the zip line ride over downtown Indianapolis that impressed so many during the last Super Bowl. “We’re going to have something like a rocket ship,” Houston Super Bowl bid chairman Ric Campo promised as the full scope of the Bayou City’s winning Super Bowl vision emerged Wednesday. “. . . It’s not fully baked,” Campo said after a pause, allowing that many more details will have to be worked out before the pretend rocket blasts off. Still, the rocket ride speaks to the grand scale of these Super plans for 2017. The renderings on display at One Park Place included a tall, high-tech looking, free-standing structure in Discovery Green that Campo later described to CultureMap as something of a “Space Needle.” By the time it’s fully unveiled, it’s likely to have a more Bayou City fitting name, but there is little doubt that the Super Bowl organizers hope to have NASA involved. What clearly already blew the NFL owners and officials away is the Houston vision of turning the Super Bowl from a one-week party into a 10-day event. As Campo describes it, the Super Bowl action, which has typically started heating up on the Tuesday of game week, will instead begin the Thursday before the NFL’s typical off weekend — a full 10 days prior to the big game’s kickoff. “No other city had that as part of their proposal,” Campo said. 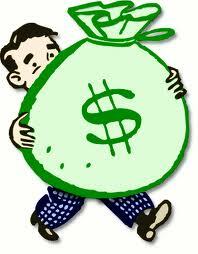 Campo admits that will require more money and more big-time events to fill up what’s essentially an extra four days. After many other reporters had left One Park Place following the close of the official press conference, Campo told CultureMap that the early plans call for major concerts (much like the 2011 Final Four, only even bigger acts) and themed days that highlight Houston’s diversity. Dale Robertson wrote a column before the NFL made its decision that talked about how Discovery Green was a key component of Houston’s bid. I’m really looking forward to seeing what the programmers have in mind. The potential is there for some really awesome events. Are you ready for the hipness? Because ready or not, here it comes. A rapper, a ballerina and a host of top chefs are among the locals who will be featured in a new Houston image campaign launching next month. The $425,000 promotional blitz targeting readers of the Wall Street Journal, New York Times and even Cooking Light magazine will feature a number of other artists and performers to capitalize on Houston’s growing reputation as a regional culinary and cultural arts capital, city boosters say. The “Houston Is” campaign will feature such notables as the rap star Bun B, the Houston Ballet’s Nao Kusuzaki and graffiti artist Gonzo247 in the largest effort of its kind in the city’s history in terms of its national reach, said Holly Clapham, vice president of marketing at the Greater Houston Convention & Visitors Bureau, the group behind the effort. The print ads feature 32 Houstonians, most of whom are in the restaurant and cultural arts communities, in themed group portraits. The campaign also highlights the city’s ethnic diversity. We heard about this in December. As I said at the time, I’m pretty sure this effort will be more successful than some previous efforts were. We’ll see how it goes. As part of the second iteration of MyHouston, the GHCVB has created a series of five print ads that provide visual representations of Houston culture. Thus, the idea for “Houston is Hip” was born. I look forward to seeing it. If you can identify everyone in the embedded photo without clicking it or the CultureMap link, you are unquestionably hipper than I am. (For the record, I’d have been able to ID three of them, and would have guessed two others with a bit of prompting.) After you’ve finished reading the CultureMap story, go read this little blast from the past and wish the GHVCB better luck than their predecessors had. The city of Houston is once again bidding for a Super Bowl. If everything goes according to an ambitious plan devised by city and county leaders, Houston will host its third Super Bowl in 2017. The NFL informed the Texans and the city on Tuesday that Houston will be one of two finalists for Super Bowl LI, to be played in February 2017. At the conclusion of the league’s winter meetings in Chicago, commissioner Roger Goodell disclosed that San Francisco and South Florida had been selected to bid on Super Bowl L. Goodell said the runner-up will compete with Houston for Super Bowl LI. Houston’s Super Bowl bid is a joint venture among the Texans, the Greater Houston Convention and Visitors Bureau, the Harris County/Houston Sports Authority, and Reliant Park. Houston wants the 2017 Super Bowl because the Final Four is here in 2016, and two big events like that two months apart is a lot. Previous attempts to land Super Bowls XLIII, XLIV, and XLVI all came up short. The owners will vote in May on the two games. The first vote will be between San Francisco and Miami for 2016, followed by a second vote between Houston and the 2016 runner-up for the next year. “I think the chances are really good,” said Janis Schmees, executive director of the Harris County-Houston Sports Authority. The 50th Super Bowl in 2016 will be a special-anniversary celebration. If San Francisco wins, the game will be played at the 49ers’ new stadium in Santa Clara. That stadium is set to open in 2014. If South Florida wins, the game will be played in the Miami Dolphins’ stadium, which still faces questions about possible renovation, including a partial roof. We know that the owners love awarding the Super Bowl to cities that have built new stadia – this is, after all, mostly why Houston got the game in 2004 – so if you want to see this happen, you should root for San Francisco to win the bid for 2016. We’ll see if the optimism is warranted this time. Number Nine on The Street’s list of “10 Cities Poised For Greatness In 2012”. Which places us one behind Austin, and one ahead of…Rochester, NY? Whatever. Here’s what they say about our fair city. Throughout the economic crisis, Houston has been the buttoned-down older brother to Austin’s hippie slacker. While college-boy Austin coasts by on education and arts, Houston shrugs off the cool kids, goes to work every day with its buddies in the energy industry and does what it can to keep unemployment below 8%. Unlike Austin, though, Houston doesn’t have to drop its home prices to draw new blood. Home prices in Houston have remained level since 2010 and are among the few in America that have risen since 2008. ConocoPhilips(COP_), Marathon Oil(MRO_) and Halliburton(HAL_) all help provide a solid employment base and, though the Houston Texans’ run to the NFL playoffs may be Houston’s major one-off event of the year, there’s economic life to the city that’s only improving as the year goes on. Boy, if that doesn’t get your blood pumping, I don’t know what would. Better jump on this while you can, GHCVB. Canceling the airport service was one of a dozen suggested route changes that were discussed at a public hearing Tuesday. Metro officials concluded after the hearing that they should proceed with plans to end the service, a decision that doesn’t require board approval, spokesman Jerome Gray said. “Our concern for Airport Direct stemmed strictly from the costs of the service versus revenues we could realistically achieve, not its desirability or our personal wish that it succeed,” Greanias said in a prepared statement. Metro doesn’t have the cash flow to keep trying to make this work. They gave it a shot, and under other circumstances they might have been able to keep tinkering with it, but this was clearly the responsible thing to do. Which isn’t to say that there couldn’t be some way to make a service like this be either self-sufficient or only in need of a modest subsidy. Greg Ortale, president and CEO of the Greater Houston Convention and Visitors Bureau, said the conversations with Metro had provided a good beginning for new ideas about transportation service to Houston’s airports. “I think that what needs to happen now is go back and get all the interested parties to retool, think a little bit outside the box and think how we can put together a good, solid express not only to Bush but also to Hobby,” he said. Ortale said some meetings are planned in the next two weeks to discuss a future airport bus service. As long as there’s limited exposure for any public funding, I’m okay with taking another crack at it. It really does seem like there ought to be a way. For the most part, we didn’t see any nasty homophobia in the 2009 Mayoral election until the runoff, at which point it oozed out from several locations. This time around, the gay bashers aren’t wasting any time. First, usual suspect Dave Wilson crawled out from under his rock to send a hateful letter about Mayor Parker, which in a nice bit of ju jitsu she then turned into a national fundraising appeal. More recently, one of her actual opponents in the race decided that gay tourists and their money are icky. “The Gay Boy’s Weekend in H-Town? Well, “I’m just saying” that most major cities in the U.S. are actively competing for the LGBT vacation dollar (including Chicago, Los Angeles, Los Vegas, Washington D.C., Dallas and even Salt Lake City), and if Houston is to be competitive as a vacation and convention destination it has to follow suit. I’m also “just saying” that gay-baiting the very popular Parker is a dumb political move that does little to legitimize Herrera’s struggling campaign. Here’s the link to that photo in case you want to add your voice to the comments. It’ll be by far the most attention Herrera has gotten for his campaign. When you’re done, head over to My Gay Houston and see what exactly it is that he’s so afraid of. It’s been two years since we had one of these. The Astrodome’s next incarnation — planetarium? hotel? heap of dynamited rubble? – will be the subject of yet another study ordered up by Harris County Commissioners Court this week. What to do with the dusty 46-year-old landmark has nagged at county officials even before the Astros left for what is now Minute Maid Park in 1999. How to pay for any proposal has not been far from their minds, either. Even tearing it down would cost tens of millions of dollars. The study, slated for completion in December, also will plot the future of the entire Reliant Park complex, home to the long-vacant Dome, the Texans’ Reliant Stadium, Reliant Center and aging Reliant Arena. It was almost exactly two years ago when the previous study was approved. That led to the infamous three options proposal that nobody liked. County Judge Ed Emmett said at the beginning of the year that something needs to happen, and he reiterated his call at the State of the County address. According to the story, he wants to have a bond referendum on next year’s ballot. We’ll see if this study works out any better than that last one. Two years after it opened, downtown’s Discovery Green park has drawn 55 percent more visitors than projected and has emerged as a key asset to Houston’s convention business, officials say. The 12-acre, $122 million park has attracted an estimated 1.7 million visitors, or 850,000 per year, director Guy Hagstette said. Prior to its opening two years ago today, the park’s operations consultant projected it would attract 550,000 people a year, an estimate the park’s leaders thought was too high, Hagstette said. Discovery Green has become our new town square,” said Greg Ortale, president of the Greater Houston Convention and Visitors Bureau, which operates the George R. Brown Convention Center adjacent to the park. Discovery Green has been a crucial selling point in booking several conventions, Ortale said, giving conventioneers a view of green space teeming with people rather than of the parking lots that occupied the space before the park was built. We continue to love Discovery Green. The girls are always up for a trip to “the downtown park”. They’re already pestering me to let them play in the Gateway Fountain – sorry, not quite warm enough yet. The only complaint I have is that the children’s playground area needs a little maintenance, and has needed it for some time now. Otherwise, it’s all good. Discovery Green is what downtown Houston has needed for a long time – a focal point that we can all be proud of. I sincerely hope that the Market Square renovation is half as successful as Discovery Green has been. Then it must be time for a story about the economic impact of that big sporting event. For a city that has hosted the Super Bowl, the World Series and NBA and MLB All-Star games in the past decade, the Final Four represents one more opportunity for a national showcase — and potential economic windfall. Greg Ortale, president and CEO of the Greater Houston Convention and Visitors Bureau, expects the area to see some $38 million in extra income this weekend thanks to what amounts to home games for the third-seeded Bears and their green-and-gold-clad fans. “That’s very good, and we’re definitely pleased with that,” he said. The real jackpot, however, awaits next spring. Ortale, who’ll be at Lucas Oil Stadium in Indianapolis for this year’s Final Four, anticipates 75,000-plus passing through the Houston turnstiles in 2011. Houston will again host the Final Four in 2016. “We should at least double what we did in 2008 next year,” Ortale said. Houston and Reliant Stadium last hosted an NCAA regional in 2008, employing the “mid-field” court configuration and elevated seating systems that now serve as the model for all Final Fours. The attendance then was similar to Friday’s. At least this story addressed the question of what the impact was of a past event, rather than just giving us another projection about a current or future event. Given the financial situation we’re in, it would have been nice to know what effect on the city’s sales tax revenue is to be expected. Was there a noticeable bump in the amount of sales tax revenue Houston received from the state in 2008? If so, given that sales tax revenues have been depressed for months, do we expect the check for March of this year to show a similar or even greater increase? Seems to me that’s what really matters. [Monica Pope, chef of t’afia] — along with fellow chefs Bryan Caswell of Reef; Marcus Davis of the breakfast klub; Mark Holley of Pesce; Randy Evans of Haven; Hugo Ortega of Hugo’s; Chris Shepherd of Catalan; and food writer Robb Walsh — will lead eight tours this year including visits to Houston’s hidden Asian restaurants, small ethnic markets and the gems along Long Point Road. Pope, Shepherd, Caswell and Evans, who got together recently at one of the Vietnamese restaurants they plan to showcase, said some residents may find it daunting to go into restaurants that don’t have fancy storefronts or detailed menus in English. The only complaint I have about this is how limited in number they are. I hope someone figures out a way to make this a regular feature, with other knowledgeable types filling in for the chefs. If anyone has signed up for one of these, leave a comment and let us know about it. The election of Annise Parker as Mayor has put Houston on the map as a travel destination for gay groups. Houston historically has not been a popular destination for gay and lesbian travelers, according to U.S. Travel Association data. Last month, independent of mayoral politics, the visitors bureau launched an online effort to reach out to them. Regardless of whether Parker’s election boosts that effort directly, at the least it could help change the perception of Houston, according to a longtime tourism consultant. Houston drew international attention earlier this month when it became the largest U.S. city to elect an openly gay mayor. 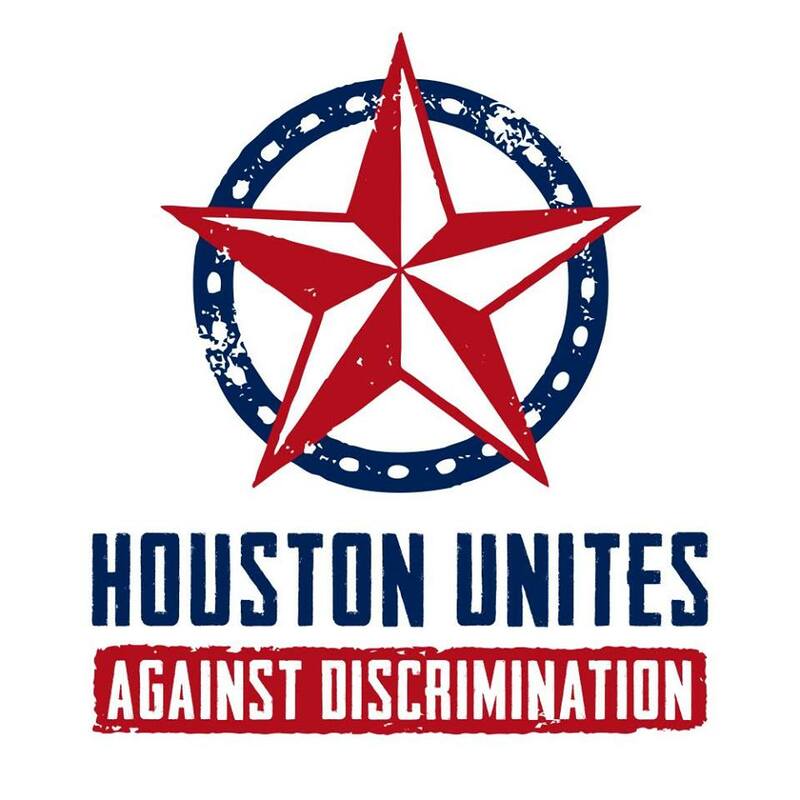 It “makes Houston seem more tolerant and gay-friendly,” said David Paisley, senior program director of Community Marketing, a San Francisco-based marketing and consulting firm that works primarily with the gay and lesbian tourism industry. Cities have been marketing themselves to gay and lesbian tourists for years now, since as the story notes they tend to travel more and spend more money at their destinations. Houston got a ton of free, positive publicity from Parker’s win, so now is as good a time as any to try to capitalize on that. For those of us who think that most people will like Houston if they give it a try, that’s all you can ask for.